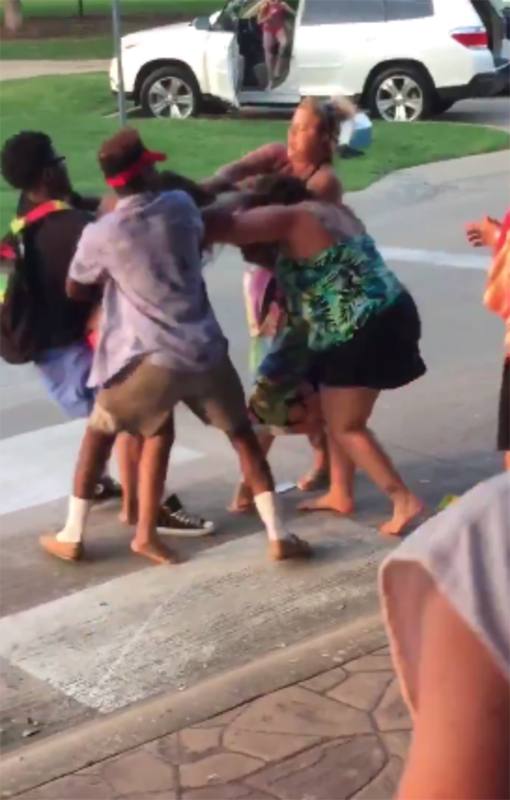 Teenagers have come forward to share their stories about what happened when police in Texas were filmed breaking up a pool party thrown by black teenagers on Friday night. A 15-year-old who went to the end of exams celebration told Buzzfeed that some of the teenagers had guest passes for the community pool and others jumped the fence. “I think a bunch of white parents were angry that a bunch of black kids who don’t live in the neighbourhood were in the pool,” said Brandon Brooks, who is white. Fifteen year-old Miles Jai Thomas, who is black, told the Huffington Post that when he arrived at the pool on Friday night the area was open to everyone - until a security guard started to remove the black people at the party. “Then he started making up rules to keep us out,” he said. At the same time, an unidentified white woman is said to have started making comments to the teenagers about getting used to seeing the bars on the other side of the pool and to go back to public housing. In particular, a video of one officer throwing a girl to the ground, pushing her face into the grass while he handcuffs her and then threatening two boys who try to intervene with his gun has caused an outcry. “So a cop grabbed her arm and flipped her to the ground after she and him were arguing about him cursing at us,” Thomas said. When two teens moved towards the girl to help, they were accused of trying to attack the officer, as shown in the video above. "So a cop yelled ‘get those motherf–ers’ and they chased [us] with guns out. That’s why in the video I started running… I was scared because all I could think was, ‘Don’t shoot me.’"
Buzzfeed reports that one arrest was made after the incident and that the cop filmed aggressively handcuffing the girl has been placed on administrative leave. 1 - A resident of the COMPLEX IN QUESTION in McKinney Texas, named Tatiana Rose, invited a group of friends OF ALL RACES to the pool in her SUBDIVISION. Yes, she LIVES there. 2 - A bunch of GROWN White women started berating the Black teenagers with RACIAL SLURS, telling them to "go back to their SECTION 8 HOUSING." Most of the children at the event live either IN OR VERY NEAR the subdivision. 3 - The White teenagers in the group STOOD UP for their Black friends, and joined them in CONFRONTING the racist GROWN WOMEN. 4 - One of the White GROWN women assaulted a 14 year old girl - SLAPPING HER IN THE FACE - and that's when things got out of control. 5 - NO TEENAGER is accused to assaulting, vandalizing, or doing ANYTHING other than being loud and upset. 6 - When the police were called, they did not ask ANY White person, including the White teenagers that ATTENDED TATIANA'S PARTY, onto the ground. 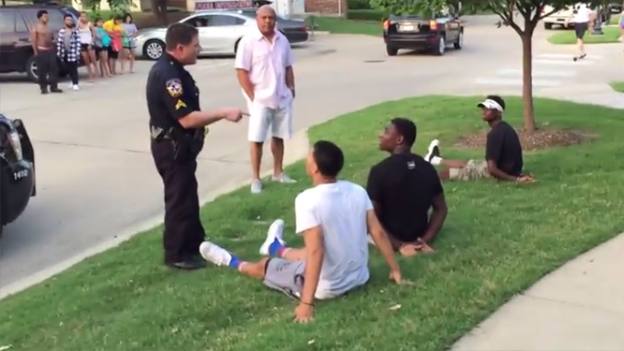 Only BLACK TEENS were profiled by the police. 7 - A few Black teenagers that LIVED IN the subdivison, but were NOT AT TATIANA'S party - were ordered to the ground by the CORRPUT police. The police OFFICER who was on video being abusive was NOT FIRED . . . and he was NOT SUSPENDED. He was placed on "ADMINISTRATIVE LEAVE" meaning he is STILL GETTING PAID AND STILL HAS HIS GUN. He has NOT been charged with ANY CRIME either. 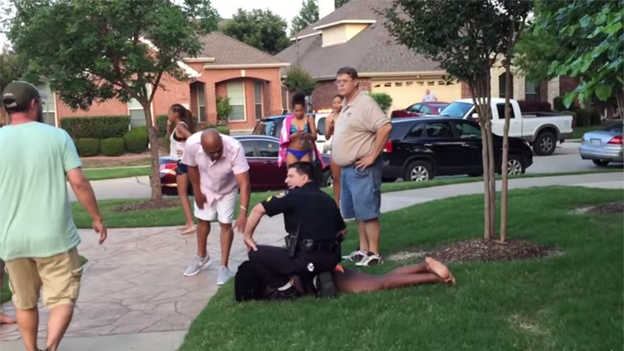 The HOST Of The POOL PARTY In McKinney Texas SPEAKS OUT . . . There Were A LOT Of Misconceptions About What REALLY HAPPENED . . . And She Clears It ALL UP! !